From the Uber data leakage incident to cases where photographs of young or vulnerable people are stolen and misused on inappropriate websites, there is a fundamental gap: the lack of users' control over their data once it is uploaded onto the Internet. 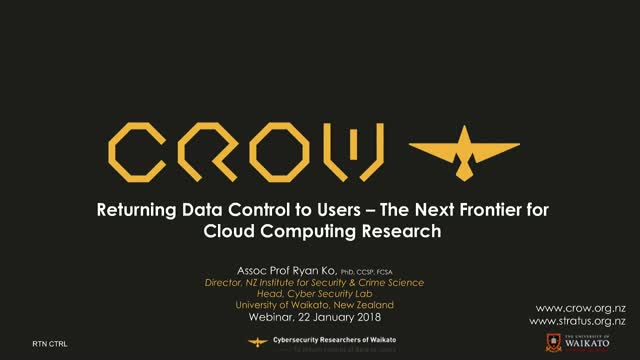 This talk introduces some of the key challenges and scientific trends in returning data control to cloud users, and how STRATUS (https://stratus.org.nz), a 6-year NZD12.23 mil (incl. GST) MBIE-funded cloud security research project, is addressing these gaps. The talk will also cover some of the Cloud Security Alliance's contributions to the STRATUS project.